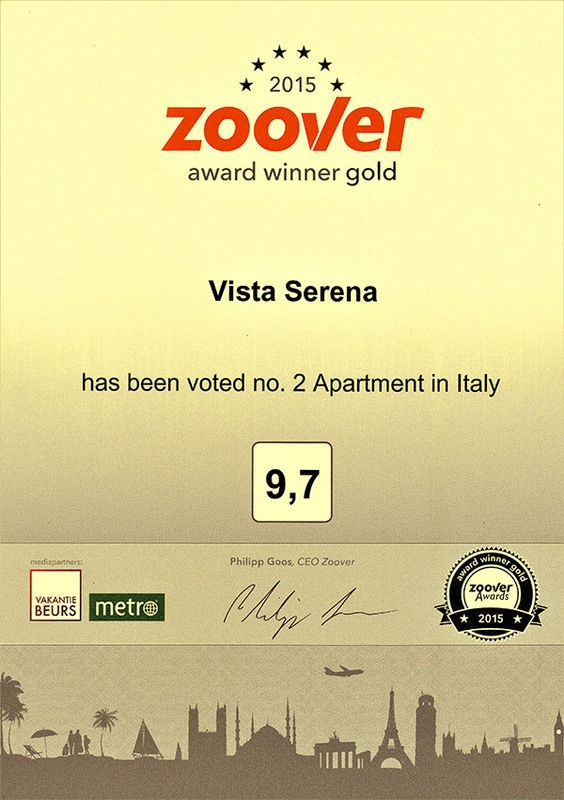 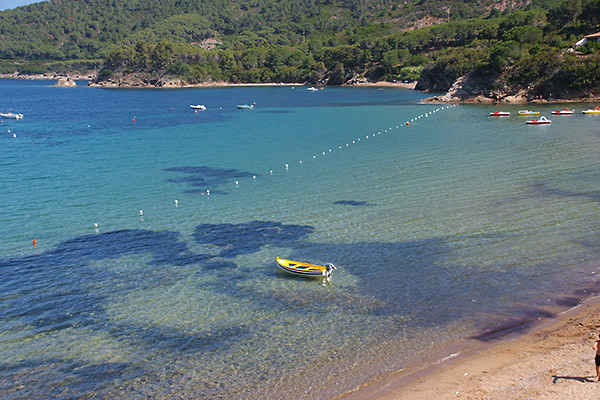 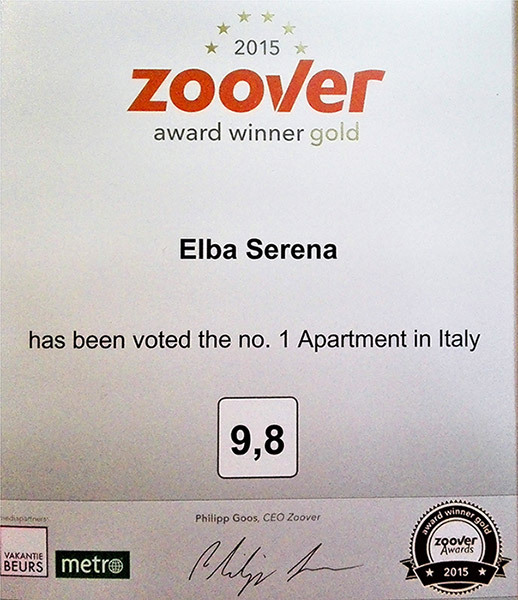 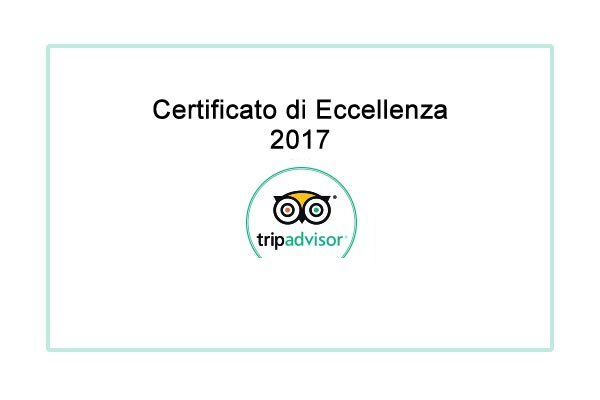 Reasons for choosing "Elba Serena"
ELBA SERENA" Apartments have received the 1st place in the "Apartments" category for 2015 of the "Zoover Gold Awards 2015", an important award in the tourism sector ... selected from many Italian holiday apartments with a score of 9.8 out of 10 for the quality of services offered and the care of the guest. 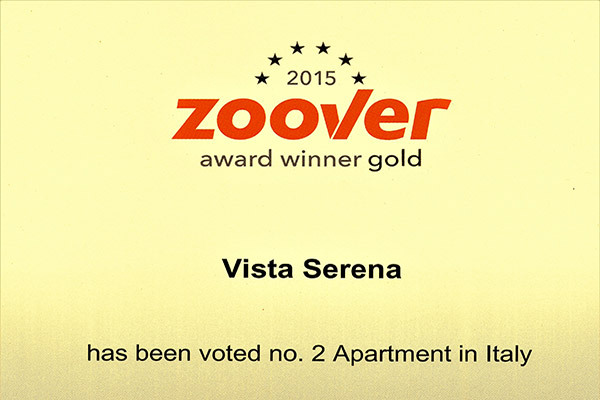 for a really "Serena" vacation that makes the difference! 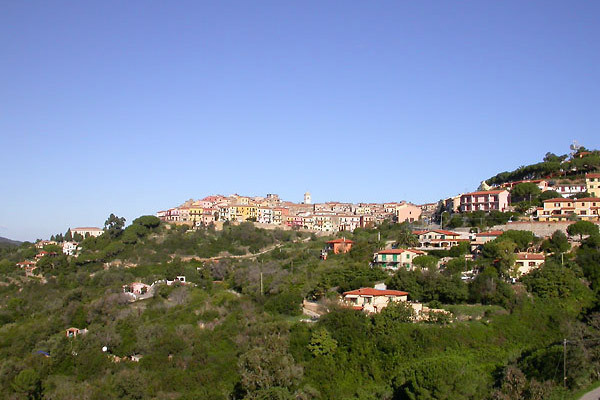 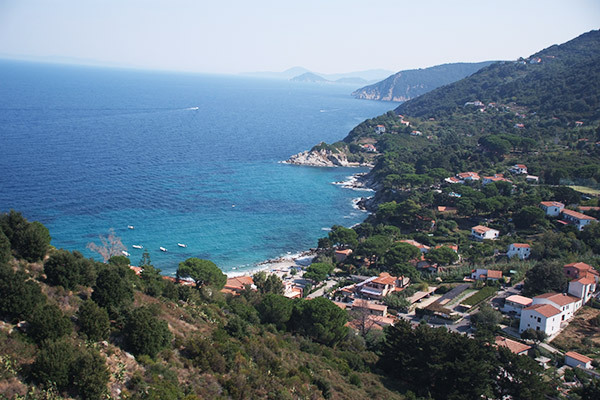 The recent New Entry: Villa "Vista Serena"
‭ the housing solutions offered by Riccardo and Stefania (both at the small Residence a few meters from the sea and at the villa on the hill "Vista Serena"), will do you to make a stay and a holiday really "Serene". 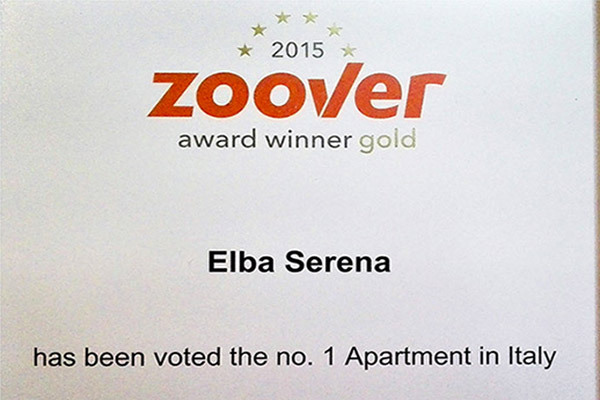 Attention: "ELBA SERENA" is only "ELBA SERENA" from Riccardo and Stefania!